Currently, the most contemporary definition of palliative care involves the following three components: (1) aggressive, expert-based symptom management, (2) psychosocial support of both the patient and the patient’s family (and to some degree the clinical staff caring for the patient), and (3) an expansive discussion of the patient’s goals of care for his/her medical/surgical care (Gustin and Aslakson, Anesthesiol Clin 33:591–605, 2015). Multiple organizations outside and within the United States of America (USA) have position statements and practice guidelines advocating for the use of specialized palliative care within all intensive care unit (ICU) environments (Aslakson et al. Crit Care Med 42:2418–2428, 2014). Specialized palliative care consultation is uniquely positioned to support patients and families as the work demands of the ICU may not afford critical care clinicians the time to manage both patient and family needs. The key focus of palliative care is from the patient, family, and caregiver perspective rather than from the ICU physician or surgeon perspective. This article means to explore the role of integrative palliative care interventions within a cardiac surgical intensive care unit. 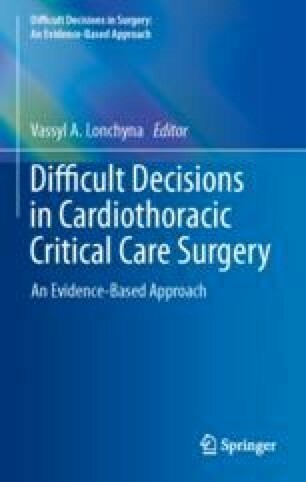 No current research exists regarding the implementation of palliative care in a cardiac surgical ICU. Despite this lack of data, multiple organizations and expert opinions exist regarding the need and importance of Palliative Care engagement in in any ICU for any ICU patient. More specifically, national organizations with a focus on cardiac patients, recommend the use of Palliative Care for patients with chronic disease, patients with critical illness, and patients with cardiopulmonary disease. The World Health Organization Statement on Palliative Care. Accessed at http://www.who.int/mediacentre/factsheets/fs402/en/, on 15 Mar 2018. Critical Care Societies Collaborative. http://www.choosingwisely.org/societies/critical-care-societies-collaborative-critical-care/. Accessed 15 Jul 2017. The American Academy of Hospice and Palliative Medicine. Choosing Wisely campaign. Accessed at http://aahpm.org/uploads/about/3.6.1._AAHPM_5_Things_-_Choosing_Wisely.pdf, on 15 Jul 2017.